This makes our BERG GO2 so versatile! 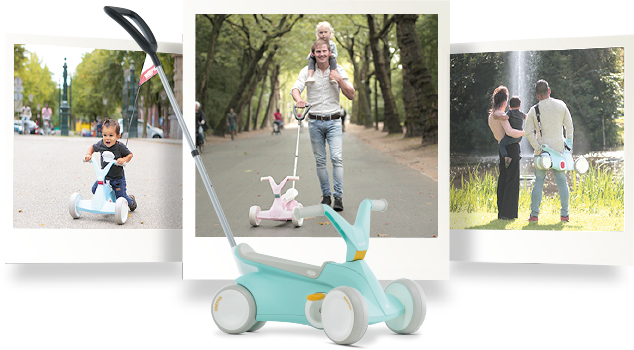 The ergonomic design of the BERG GO² ensures safe and easy outdoor fun! The sleek ergonomic design has many advantages. 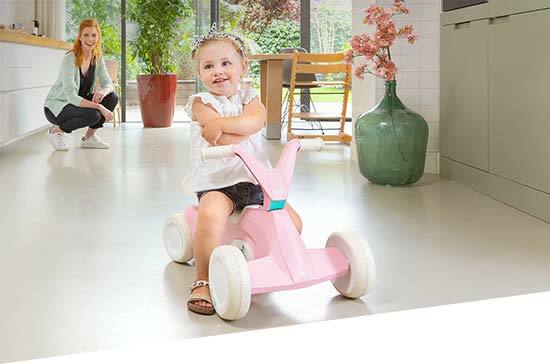 The first advantage is that your child will not catch his or her little feet on the pedals or the rear wheels. 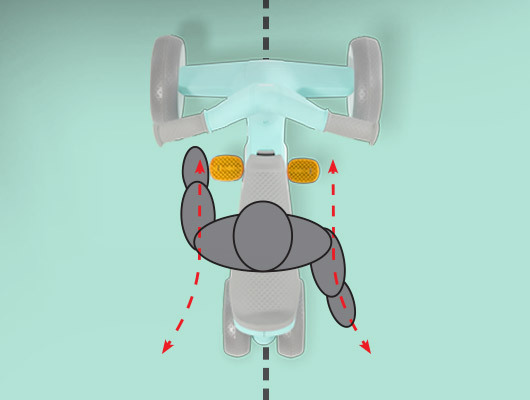 The BERG GO² saddle has a unique structure. When your child grows, he or she can sit further back. Thanks to its four wheels, the BERG GO² has excellent stability. The BERG GO² has an integrated folding pedal system. 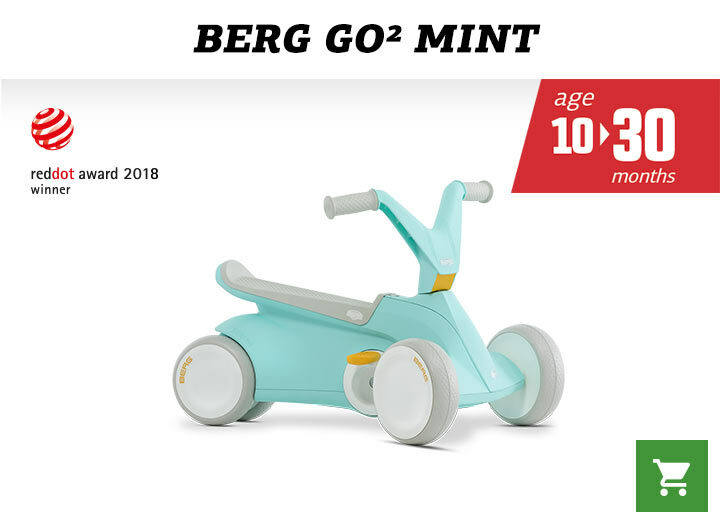 This way, your child will quickly learn to scoot and pedal with the BERG GO². Helping your child to learn to scoot and gokart is easy with a BERG GO²! 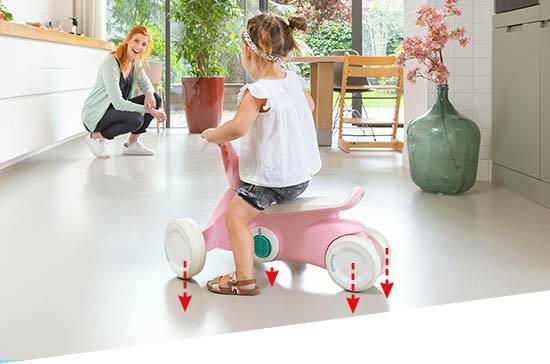 First of all, your child learns to sit on the GO² with the pedals folded up. 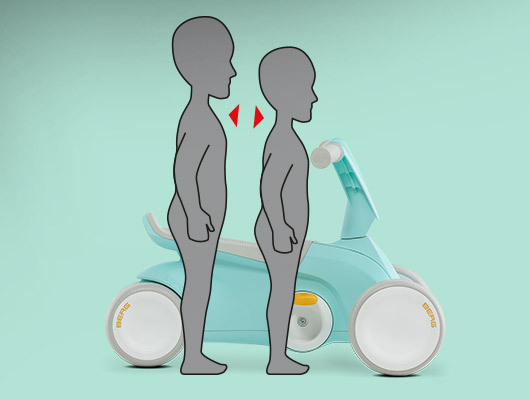 Pushing off with one little foot on the ground will create a forward motion and, before you know it, your child has learnt how to scoot. Scooting has now been mastered; the next step is to fold down the pedals. This can easily be done in one movement. 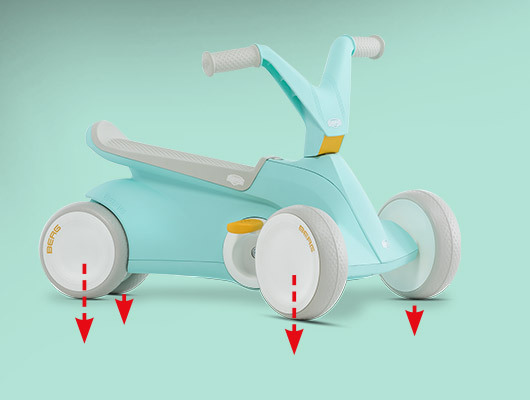 Thanks to the ergonomic design of the GO², your child will not catch his or her little feet on the pedals or rear wheels. 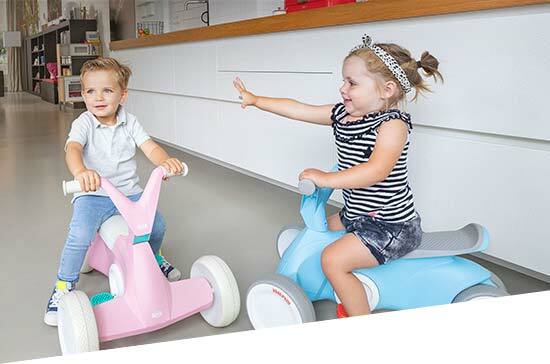 The GO² is specially designed saddle ensures that your child can have endless fun with this go-kart. When your child grows, he or she can sit further back in the go-kart. 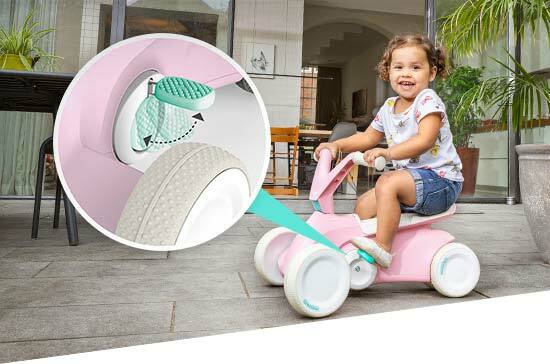 The BERG GO² is designed in such a way that your child always sits perfectly without having to adjust the steering wheel or the saddle! When your child grows, he or she will automatically sit further back. Firmly and safely grounded due to the 4 wheels. 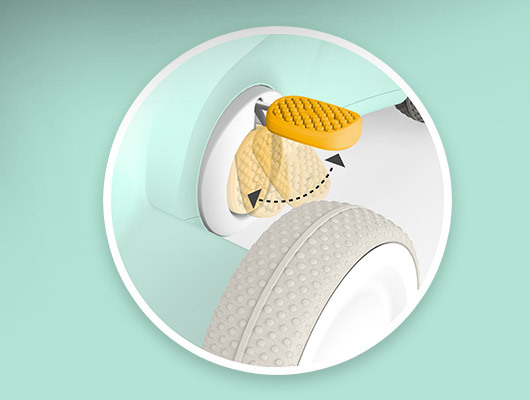 Thanks to its four wheels, the BERG GO² has excellent stability. Because tricycles have one wheel less they are prone to tipping over. Riding sharply or fast around corners on a tricycle creates dangerous situations. Show your photo opportunity on social media with pride and be part of the BERG GO² fan page. Every month, you can win a BERG push rod. Which BERG GO2 would you choose?